We have lots of events taking place at the Laggan Wolftrax Centre . 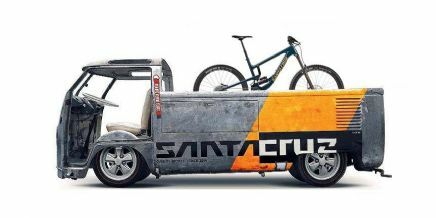 Santacruz Demo Day - Come and test out a dream bike, thinking of making that jump up to one of the best bikes on the market. No better way than to take one for a spin. 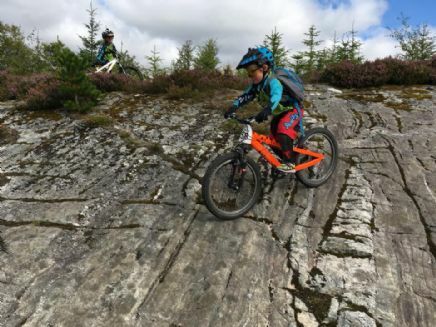 Laggan Wolftrax offers a selection of descents to test a variety of bikes and styles. A valid driving licence or ID will be required to demo the bikes. Come and run a trail of 5km through the forest this Halloween weekend and pit your wits against the zombies! Each runner will get 3 life strips attached to their belt. The zombies you encounter on the trail will try and grab them! The aim is to get to the finish "Safe Zone" with as many lives intact as you can, do this and you will be rewarded with a "SURVIVOR" Tshirt... but don't worry if you get caught! Cross the line with no lives and receive a "Zombie Food" Tshirt instead! All proceeds from the event go towards the Caberfeidh Horizons Bike Trailer fund. For more info visit our facebook page. Booking now open at the event page. Hands on activities & demonstrations for you to take part in that demonstrate the many rural skills that take place in the Cairngorms National Park including: sustainable timber processing, deer management, tree climbing, forestry machinery, mountain bike skills & activities, green woodworking, bushcraft activities, wild plant trail, wildcat action to mention just a few.